Doesn’t her ponytail randomly flying out behind her, in her Black Flags uniform look epic? Yes, I know, I still had my jacket and belt. I look fine though, I think my hair goes with my Pathfinders outfit. It’s one of those colors that doesn’t clash; it sort of goes together, even though they’re sort of opposite. Like pink goes good with green? So, to make this post not completely useless, there is news about the newest island, Wimpy Boardwalk. Beware, guys! The Cheese has returned! Some of the boardwalk games on Wimpy Boardwalk have spectacular prizes that you’ll be thrilled to win — but maybe not this claw game. What is that? Icy Comet’s Blog now has a guide for Red Dragon Island! The guide was done by me, Icy Comet, and Super Thunder. Click HERE to see the guide. Also, Red Dragon Island comes out for non-members on June 2. Happy Easter to you! Happy Easter dear You! Happy Easter to you! Sorry guys, I’d post a picture of something random, but I’m on my iPod. And I was like, Im going to check Icy Comet’s Blog. And no Easter Postie! D: So, Happy Easter! Modeling the Red Dragon Outfits! After that, is Ozeki. The O is supposed to have a line over it. Note: I took these pictures in Early Poptropica because if I would have taken them in Red Dragon Island, I would have looked fat. Note # 2: This is the same post written in my blog, but since it was written by me, it’s not plagiarizing. Wimpy Wonderland Guide is Here! Icy Comet’s Blog now has a guide for Wimpy Wonderland! Click HERE to go and see it! The guide was done by me, Icy Comet, and Super Thunder! Well, you’re not exactly a Christmas Tree, but with this new costume, you sure have a lot of lights! 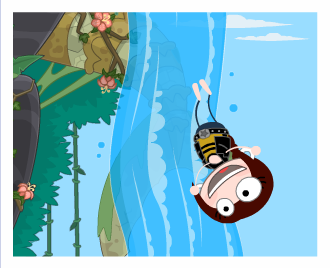 There’s a new costume available in the Poptropica store! Wreathe yourself in holiday cheer with this string of festive lights, which includes three blinking patterns to choose from. The “Tangled in Lights” costume is free to use for Poptropica Members, and 75 credits for non-Members. Enjoy! Do you believe in the Loch Ness Monster? Remember how the Creators were telling us about Bigfoot? Well, here is another post like that one, only this time it is telling you about the Loch Ness Monster, also known as…Nessie! Nessie: Real, or all wet? 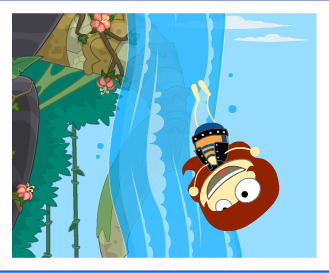 Cryptids Island is coming very soon to Poptropica! Before you take on some of the world’s most fearsome mythical monsters, we’d like to tell you a little bit about the legends. Tales of the Loch Ness Monster go back centuries. Affectionately known as “Nessie,” she is said to live in the deep waters of Loch Ness, a lake in the Scottish Highlands. By most accounts, Nessie is a massive, long-necked creature that can travel on land as well as in the water. 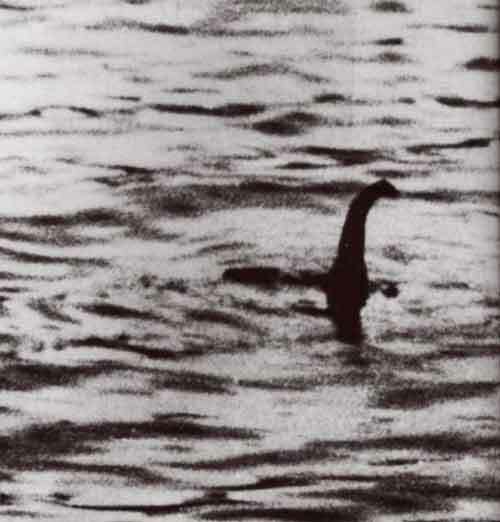 The best-known picture of Nessie, shown above, was taken in 1934 by a surgeon named Dr. Wilson. Years later, another man claimed to have helped fake the photo, but it was impossible to know whether he was telling the truth, or simply seeking fame for himself. Theories abound as to what Nessie could be. Some say that eyewitness accounts are honest misidentifications of everyday animals and objects. Others say she could be a leftover relic of the dinosaur age, specifically a plesiosaur. Still others think that there might once have been a Loch Ness Monster, but that it has died. And, of course, the possibility remains that Nessie is nothing but a hoax. What do you think — do you believe in the Loch Ness Monster? On the Poptropica Creators’ Blog, there is a new poll replacing the one about Bigfoot. The poll asks if you believe in the Loch Ness Monster. So far, there are 242 votes (51%) for the answer yes, 125 votes (26%) for the answer no, and 100 votes (21%) for the answer undecided. Also, here is a video that was on the Poptropica Creators’ Blog that you might just want to see. So, as you heard in the video, Cryptids Island will come out to members on Monday, December the 20th. Hopefully, non-members won’t have to wait a really long time before they can go onto Cryptids Island. Well, that is all for now, more news about Cryptids Island coming soon! Do you believe in Bigfoot? If you’re undecided, take a look at the Creators’ post, telling you more about Bigfoot, you, like Nessie, will probably be in Cryptids Island. Bigfoot. Sasquatch. Yeti. Three names, one very large, very hairy creature. Reports of a half-man, half-ape abound all over the world. In the Pacific Northwest region of North America, reports of a brown-haired beast go back decades. 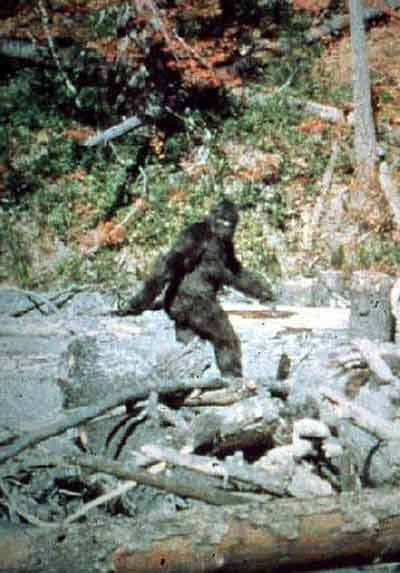 Most famously, a short movie taken by a man named Roger Patterson seems to show a Bigfoot lumbering through the woods, looking suspiciously back at the photographer. In the snowy mountains of the Himalayas, a humanoid beast known as the Yeti, or the Abominable Snowman, has also been reported for years. But, as with the North American Bigfoot, no concrete proof of the Yeti has ever been found. A monastery in Nepal claims to have a Yeti scalp on display, but scientific tests of the hair have been inconclusive. Well, what about you — do you believe in Bigfoot? Vote in our poll to the right! If you want to vote in the Creators’ poll, just click HERE to go there. You can answer with one of three things on the Creators’ poll, Yes, No, and Undecided. So far, for the answer Yes, there are 1,408 votes, which is 44%. For the answer No, there are 915 votes, which is 29%. For the answer Undecided, there are 826 votes, which is 26%. The Creators are going to tell us about Poptropica Game Cards. Probably most of you know it already, but, if you don’t, take a look at their post! What’s on your holiday wish list? Are you a Poptropica Member who wants to extend your Membership and keep enjoying Early Access to new Islands, plus unlimited use of all costumes and Gold Cards? Are you not yet a Member, but you want all those great Membership benefits, or 1000 Credits to shop for costumes and Gold Cards in the Poptropica Store? No matter what kind of Poptropica player you are, if you’re looking for the perfect gift this holiday season, look no further than the Poptropica Game Card. With a Poptropica Game Card, you can get a month-long Membership to enjoy our newest Islands — like Cryptids Island — and unlimited use of everything in the Store. Or, you can redeem your Game Card for 1000 Credits, and buy costumes and Gold Cards to keep forever. 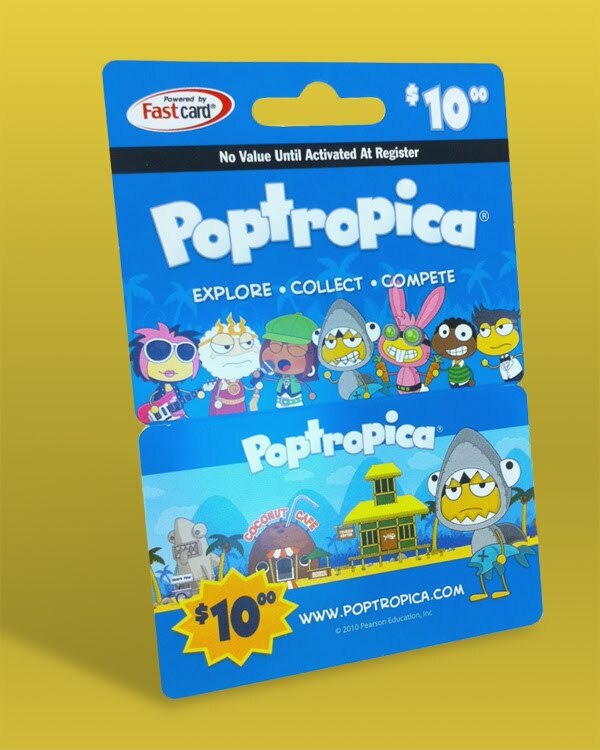 Poptropica Game Cards are available at several major stores throughout North America. They’re a great gift for the Poptropican in your life. I don’t think I have said this yet, so…HAPPY HOLIDAYS, EVERYONE! TIME TO HAVE A CONTEST! Note: The contest has ended. Note: The contest is going to end tomorrow! If you are working on a video, please make sure you finish it and send it in before tomorrow, Monday, November 22! Please make sure you don’t send in videos late! Note: The contest is going to end in a few days. I’m not sure of the date, but I will let you know a day or two before it ends. Please submit your videos before that day, if no one submits, I will have do save the contest for sometime later in the year or next year. Note: I have updated the prize section, if you are doing the contest, or are interested in doing the contest, please take a look at it! The Video Contest page has been edited, too. I have also changed the goal section. The change in the goal section is REALLY important, so I would take a look at it. That’s right, Icy Comet’s Blog is proud to present its first contest! The goal of the contest is to see who can make the best video guide for one of the islands in Poptropica. You can choose any of the islands to make your guide on. Make sure you have read all of the instructions and have read all about the contest, and you fully understand what you must do and what the contest is about. You must make sure that your computer has some sort of way to make a video from what you see on your screen. Is it easy to understand? Would a six-year old child understand it? Would a thirteen year old understand it? We would want the guide made so that anyone who plays Poptropica could understand it fully. Is it creative? To make your video a winner in this contest, it has to be a little different. Maybe you could dress up your Poptropican in a scary costume in celebration of Halloween, or you could do something else, like making a title that looks like a rainbow at the beginning. Don’t go over the top, but have a little room for creativity. Would it actually help someone complete an island? If you make a guide, don’t have one part missing, or everything be out-of-order, make sure it would fill its purpose and help someone who wants a guide on how to beat an island in Poptropica. Once your guide is completed, you can email it to us. Probably none of you know our email since it is new. Our email is icycometsblog@gmail.com. So, if you want to send us your video, just send it as an attachment, and we will look at it as soon as possible. We will have a prize for first place, and then we will have two runner-ups. The prize for first place would be either a new account with 1,000 credits on it, or I would buy a game card for Poptropica and I can email you the code so you can activate it. If you win this prize you can email me and let me know which one you want to do. The two runner-ups prizes’ would be they each get an account with some islands completed and with one, two, three, something like that, cool costumes. I don’t know what islands would be completed and what costumes you would get, Super Thunder is in charge of this prize. Lastly, the first place video and the runner-ups’ videos will all be posted on the Guides page, underneath the island that they are supposed to be under. If you win, your prizes will be emailed to you. Remember to check both your inbox and your spam box when you enter the contest, just so you won’t miss the fact that you won the contest. I’m thinking of having this contest last about 3 weeks, maybe longer or shorter. It depends on how much work there is for everyone involved. Well, I hope you like this idea for a contest. Later, I will make a page about the contest, so people can still read about it when the post becomes un-sticky. If you have any questions or suggestions, feel free to leave a comment! By the way, HAPPY HALLOWEEN!